Well you vegans still kill a lot of animals by accident, aren’t you a bit hypocritical? But there are vegans who doesn’t get enough nutrition, what about them? What about genetics, blood type and diet? What about the essential amino acids? Is there a way I can check the nutrients of my present / future diet to see if I would lack something? What about the difference in the use of resources between a vegan vs meat lifestyle? What about the history of veganism, have we not always eaten meat? But what does our anatomy says about what kind of food we are built for? But I am doing workout and fitness training, is it possible to be a vegan and still be strong? What about the differences in health when it comes to a diet of meat vs vegan diet? Any documentary specifically about the health effects of the consumption of animal products? Is there any doctors out there recommending veganism? Well I am still not convinced, do you have anything more to say or to recommend me watching? Where can I find more information about this subject? Before we jump to the questions and answers about veganism I like to make a short introduction to show you where I come from. I was practically born in the backpack of my father who was a very active hunter and fisherman that hunted all kinds of animals like bears, moose, birds, hare. I was also brought up in a small village of a few people that had farms and I also had friends in other nearby villages who had big dairy farms. I’ve been taught how to hunt different animals and also how to fish different kinds of fish in different waters which includes the preparation of these animals which means everything from slaughter to ending up on the dinner table. I want you that read this to understand that I firmly understand the perspective of one eating meat, of one that hunts, of one that fish and one who is a farmer. I’ve lived it all and experienced all for myself but one day I woke up and realized the moral implications of all this because of the simple reason that none of it is necessary for our own survival which is something I was never taught but something I had to figure out for myself at later years. So there you go, that is my brief introduction of where I’m coming from and I hope you keep that in mind while going through these different questions and answers. That said I have to get this out of the way as well and that is that one who is supporting the meat, egg and dairy industry is actively supporting animal slaughter and cruelty because the money that you pay for your “food” is going straight to the industries and farmers that is causing it in the first place. 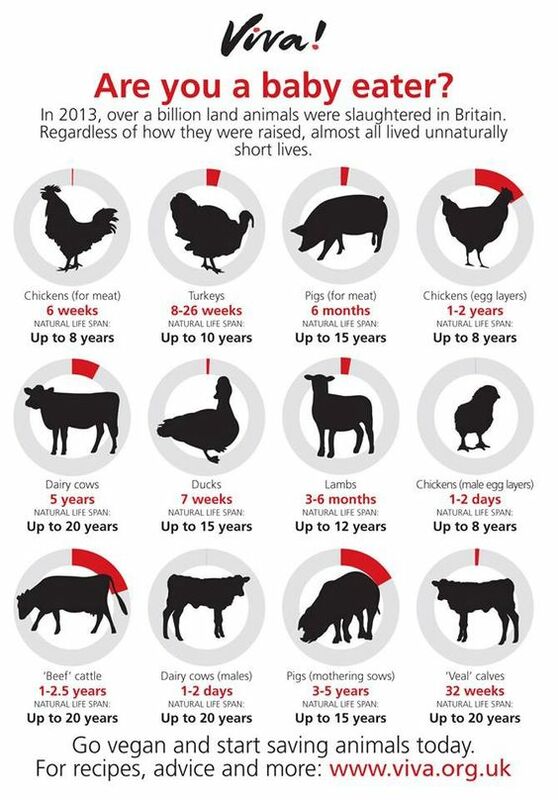 It doesn’t matter if it’s free range, happy cows, happy chickens, happy pigs or whatever, they get slaughtered very early in their lives for no good reason where they could have lived long and healthy lives instead. Why do I say “for no good reason”? Because we do have another choice and there are millions of us that doesn’t consume or use animal products without any health issues or problems of surviving but instead are thriving. The question of humane slaughter that often comes across as an argument I have to say that it’s a contradiction of terms, double speak. An example would be to ask yourself if it would be ok for yourself to be “humanely” killed when you do not want to die. No it would not, it’s nothing humane about it. The definition of humane goes as follows: acting in a manner that causes the least harm to people or animals. To kill someone who doesn’t want to die is not causing the least amount of harm, it’s causing the maximum amount of harm. Yes we do but veganism is all about reducing the suffering of animals as much as possible. No vegan is exempted from the fact that we do kill animals by accident because it isn’t possible today to live without killing animals but that doesn’t automatically mean that we should just kill even more animals for our own pleasure. There is a big difference between accidental killings and intentional killings. The intention makes all of the difference in the world and especially for the animals in our slaughter houses. The numbers of killed animals is far less on a vegan lifestyle than on a vegetarian or meat lifestyle and in order to fully understand things we must put ourselves in the position of the victim, not the oppressor. Also there is a new farming technique that requires zero killings of animals which is vertical farming. To read more about that then check out this link which is about Aerofarms, the worlds largest vertical farms. The lack of understanding when it comes to eating properly causes a deficiency in nutrition no matter if you are vegan, vegetarian or meat eater. All of the nutrition you need do exist in a plant based diet, you only need to learn what to eat which in truth everyone should do in order to keep the body healthy and free from things like cancer, diabetes, heart disease etc. It is even shown that those going on a plant based diet have less problems with nutrient deficiency than omnivores and you can read more about it in this article that is written by Dr. Michael Greger. Well you can’t really consume anything without getting some protein, well maybe jello. In fact I would go as far as to say that have you ever heard a doctor say to a patient that he/she have protein deficiency? If you are wondering about sources that are rich of protein then I would recommend nuts, seeds, beans and hemp. 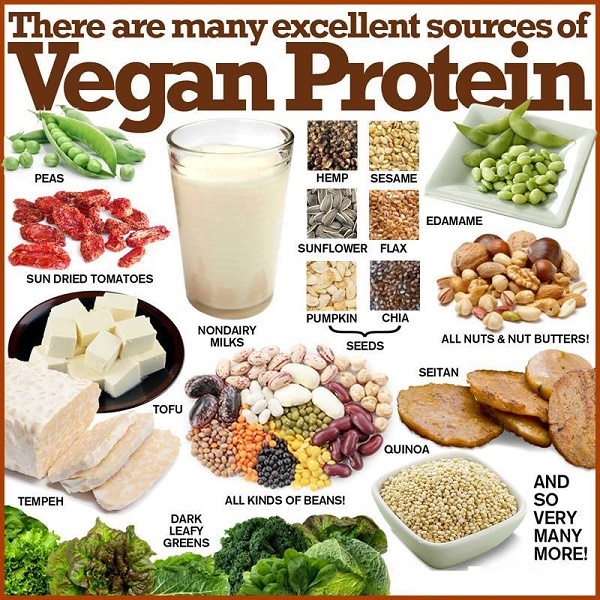 I would even go so far as to say there is a deliberate created myth made about protein and if you do not take my word for it then this presentation with Janice Stanger might help you understand why. Janice Stanger, Ph.D. is a nutrition expert, educator, speaker, and author of The Perfect Formula Diet: How To Lose Weight and Get Healthy Now With Six Kinds of Whole Foods. Well the idea that our blood type or genetics determines what diet is most suitable for us has not yet been established and proven but the idea seems to be floating around as if it has. Here is Dr Michael Greger showing that neither blood type or genetics shows us that we are suited for different diets. When it comes to the B12 then people need to understand that our B12 is produced naturally in our small intestines because of bacteria. Here is a good quote with Dr Gina Shaw from this article where she talk about this. B12 synthesis is known to occur naturally in the human small intestine (in the ileum), which is the primary site of B12 absorption. As long as gut bacteria have cobalt and certain other nutrients, they produce vitamin B12. Dr Michael Klaper argues that vitamin B12 is present in the mouth as well and intestines. Furthermore, Dr Virginia Vetrano states that active Vitamin B12 coenzymes are found in bacteria in the mouth, around the teeth, in the nasopharynx, around the tonsils and in the tonsillar crypts, in the folds at the base of the tongue, and in the upper bronchial tree. Absorption of the natural B12 coenzymes can take place in the mouth, throat, oesophagus, bronchial tubes and even in the upper small intestines, as well as all along the intestinal tract. This does not involve the complex enzyme mechanism for absorption (Intrinsic Factor) in the small intestine as required by cyanocobalamin. The coenzymes are absorbed by diffusion from mucous membranes (11). 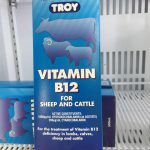 If sheep and cattle gets B12 supplements because of deficiency then humans can as well without the need to filter it through another body. Those who suffers from B12 deficiency is most likely not taking their B12 supplements and are having problems with absorption due to gastrointestinal issues because of various reasons that includes the diet itself. Here is a good video with Dr Michael Klaper about B12. Here is an interview with Michael Greger M.D that goes through the subject of B12 shortly. Personal note: I ALWAYS recommend vegans to use B12 supplements. To end I would suggest that people watch this video that talks about a study that shows that B12 deficiency is also common among meat eaters especially over the age of 50. It’s not recommended eating fish at all consider the high content of environmental toxins such as PCB’s, mercury and other pollutants that actually causes cognitive decline in both adults and children. Far better and cleaner sources are flax seeds, soy, walnuts, canola oil, chia seeds, hemp seeds and their oils and of course algae based supplementation of DHA and EPA. Well you can sign up on http://cronometer.com which is totally free to use where you can fill in the different foods and see what kind of nutrients you might lack in. Well check out this 11 minute video that go through all of this and there is notes and sources to everything that is being said in the video at this link. Here is also an excerpt from a recent 5 year study about the environmental impact of food production. “Most strikingly, impacts of the lowest-impact animal products typically exceed those of vegetable substitutes, providing new evidence for the importance of dietary change. Cumulatively, our findings support an approach where producers monitor their own impacts, flexibly meet environmental targets by choosing from multiple practices, and communicate their impacts to consumers. Just because we have done something a long time doesn’t necessarily make it the right thing to do. We have also murdered, raped, abused and had wars throughout the eons and is that something that we should uphold just because we have done it in the past? I think what we need to do is to look at our history and learn from it and see what kind of mistakes we’ve done and what we can do better. But when it comes to the history of veganism then it’s far longer than we are led to believe. Here is three parts that goes through the history of veganism. Just as a note when it comes to the question if we have not always eaten meat. The fact that we do not produce our own Vitamin C tells us that we are extremely connected to fruits, berries and vegetables. According to one source, the gene for producing Vitamin C stretches back 60 million years which is still inactive. So for 60 million years we have not produced our own Vitamin C which requires the consumption of fruits, berries and vegetables in order to survive or we may die from scurvy. A quick search for how long we eaten meat suggests 2.5 million years. Carnivorous humans go back a long way. Stone tools for butchering meat, and animal bones with corresponding cut marks on them, first appear in the fossil record about 2.5 million years ago. How Did Meat-Eating Start? Some early humans may have started eating meat as a way to survive within their own ecological niche. Competition from other species may be a key element of natural selection that has molded anatomy and behavior, according to Craig B. Stanford, an ecologist at the University of Southern California (USC). Exactly. Meat eating may have started as a survival thing or in combination with competition or who knows and stuck with us ever since just like there are cannibals that still lives. That means that we eaten anything but meat for 57.5 million years which clearly shows that we are adapted to a non-meat diet and are yet to adapt to eating meat since even low levels of animal protein increases the production of Insulin-like Growth Factor 1(IGF-1) that increases the risk of cancer which shouldn’t happen if we are truly designed for the consumption of meat. Let’s look at this table that is created by Dr Milton Mills after his comparative study of our anatomy. Here is two links that will go through our anatomy more thoroughly including further explanations. 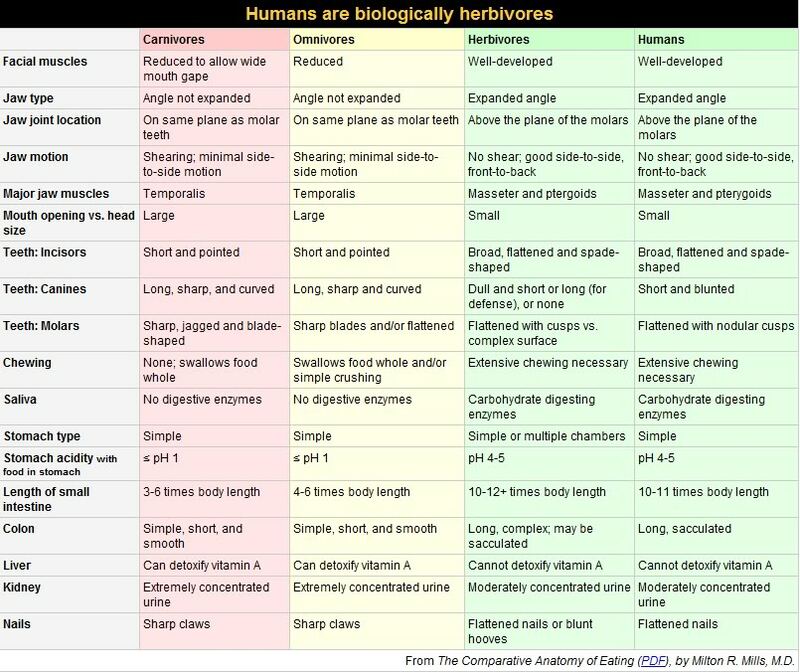 Here is a short summary of why we aren’t scavengers or even meant to eat meat. I’ve also written an article where I tackle some key points like anatomy, biology, physiology, B12, Cholesterol, Vitamin C, IGF-1, TMAO, longevity, food consumption statistics, food consumption history and the development of the brain to show that we are not designed to eat meat and it can be found here. We have one vegan bodybuilder Barney Du Plessis and then you have Patrik Baboumian who broke the world record in yoke. There is many other examples of vegan people who thrive on the vegan lifestyle but thought I bring these two at least to show that you can get fit and strong and get all of the nutrition through a plant based diet. If you want a list of vegan athletes then check out this page and here is a link to a movie called The Game Changers which is about the story of James Wilks — elite special forces trainer and winner of The Ultimate Fighter — as he travels the world on a quest for the truth behind the world’s most dangerous myth: that meat is necessary for protein, strength and optimal health. Meeting elite athletes, special ops soldiers, visionary scientists, cultural icons, and everyday heroes, what James discovers permanently changes his relationship with food and his definition of true strength. Patrik Baboumian talks about his diet. Well here you can watch an 11 minute video that shows what the difference would be for people on their different diets in healthcare costs. This is of course not the whole story of it all and very short but at least it gives you a picture of the difference. If you would like to know more I would suggest to research it for yourself and also check out the page http://nutritionfacts.org for more information. Yes here is a newly produced documentary called “What The Health” with Kip Andersen who is also behind the documentary “Cowspiracy” and here is the description of the documentary. An intrepid filmmaker on a journey of discovery as he uncovers possibly the largest health secret of our time and the collusion between industry, government, pharmaceutical and health organizations keeping this information from us. What The Health’ explores the secret prevention and cure for cancer and all other so called ‘diseases’. Including the cure for diabetes, heart disease, obesity, arthritis, dementia. Nature’s healthiest diet kept secret by governments and corporations. Then of course we got the latest documentary called Dominion and here is the description of the documentary. Why doctors don’t recommend veganism today is because they lack knowledge in nutrition which they do not get in their medical training, this is a global issue that needs to be resolved. Here are a few good 30 min videos with different doctors that is actively promoting a whole food plant based diet. The speech was held at Georgia Tech university in July 8 2010. Here are some useful links that I think people can browse through on their own to look at the different aspects of veganism. Natural Law Seminar by Mark Passio in order to understand human rights. I end this article with video summaries of 2015, 2016, 2017, 2018 and the progress in the vegan world when it comes to the increased awareness, adoption and the opening of new places support vegan food etc.